Rather than hold it against Red Bull, Renault are “flattered” that Daniel Ricciardo was not allowed to test for them in December as that means Red Bull are “afraid”. Several drivers who swapped teams during the off-season were given the opportunity to test for their new 2019 teams during the post-season Abu Dhabi test. 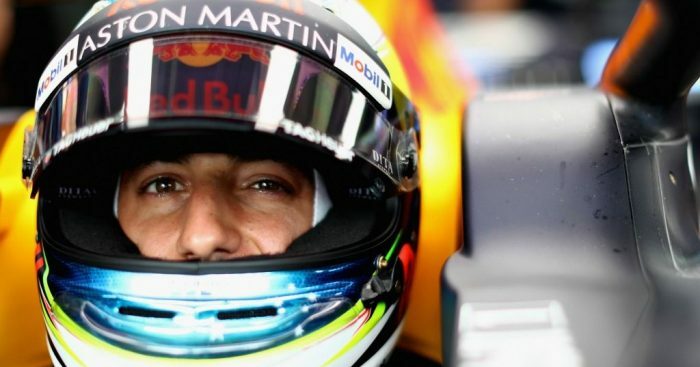 But not Ricciardo as Red Bull refused to release the Aussie from his “obligations” with the team. “He’s under contract past that date, so he won’t be doing the test,” team boss Christian Horner told Autosport at the time. “There was a question, ‘Is he available?’, [and] it’s very clear that he’s not, so it’s very simple. But while Ricciardo wasn’t able to put laps in the RS18, he has already spent time with his new team including time in the simulator. Asked by Autosport whether Ricciardo had been able to have any input up until this point, Renault F1 team executive director Budkowski said: “There’s always things that you learn from the interaction with a driver. “He’s been in the simulator, he’s been with the engineers. It’s difficult when he hasn’t driven the car. Budkowski is looking forward to having the seven-time grand prix winner at the team, convinced Ricciardo’s experience will help push the team’s development. He added: “He is a race winner. He is bringing us an experience that we don’t have in the team today.